The story behind the origins of Davis Bait Company really isn’t that unique when compared to those of other small tackle companies. A local tournament angler starts creating custom baits out of his garage, beats up on the local competition for a few years, and then starts selling his wares to buddies who are tired of getting beat every weekend on the water. From coast to coast, there are hundreds of one-man lure making operations headquartered from a workbench next to the lawnmower, weed eater, and last year’s Christmas decorations. Many of these solo lure artisans have a small but dedicated following of local anglers who swear by the product, similar to groupies for a local rock band that never quite hit it big. That’s where the story of William Davis and Davis Bait Company diverges from the path most often traveled by small lure companies. Over the past 31 years, Davis has been able to turn his lure company in East Central Alabama from a local legend into a nationwide success. In the early 1980s, William Davis was working full-time at a paper mill during the week and turning some heads on the Central Alabama tournament circuits on the weekends. Fishing primarily for spotted bass on the famed Coosa River chain, Davis and his partner were unsatisfied with the quality of the lures and hooks they were using. 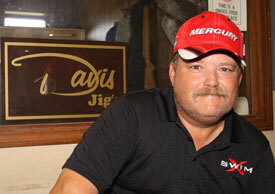 “I couldn’t find a tackle company that was using premium hooks and components on all their baits,” Davis remembered. Frustrated at the lack of quality available in the lure market, he partnered with a friend who had some machinery and started producing spinnerbaits and custom jig heads that met his standards. Though the process took several years, Davis, who was manufacturing his baits one at a time in his Alabama garage, finally settled on a hook that was sharp enough to be fished effectively on light line. “For the next few years we never told anybody how we were catching our fish,” he explained. Davis also began building heavy spinnerbaits featuring a hook that flexed at the head to reduce torque and increase his strike-to-land ratio. The lure was aptly called the “Flexx Spinnerbait.” While several lure companies currently offer a hinged or movable hook, Davis was the first one to actualize the concept. His answering machine wasn’t the only thing that was full. After designing, pouring, finishing, and packing each individual lure from his garage for three years, Davis started running out of room. “It got to the point where you couldn’t even walk through my garage,” he said. It was time to move. Over the next fifteen years, Davis expanded the lure company, which was called Pro Line Bait Company until 1990 when Davis bought out his partner and became the full owner, renaming it Davis Bait Company. After outgrowing a 10x20 building and a 30x30 building, in 1999 Davis Bait Company finally relocated to a 17,000 square-foot facility in Sylacauga, Alabama, where the factory remains today and produces more than 9,000,000 baits annually that are distributed across the country and in Japan. The final move prompted Davis to make a move of his own. Giving up his job at the paper mill, he jumped head first into the lure-making business, going full time with Davis Bait Company. Davis said that the business decision was based more on family than anything else. “It was one of those deals where I was working 16-hour days at the mill and trying to make my lure business work at the same time,” he explained. “In all honesty, I started doing this full time so I could spend more time with my son, Will, who was in grade-school at the time,” he said. An avid competitor in shooting sports, Davis was able to accompany Will across the country for competitions. While the ability to dedicate more time to his family has been a welcomed addition, running a tackle company doesn’t exactly qualify as “easy work.” Even after 31 years in the lure-making business, running the company is a never ending challenge. “When I started the business full time, I quickly realized that in order to stay in business, I had to make a profit. 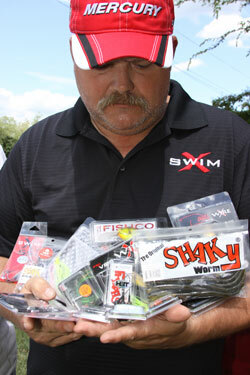 I think a lot of small lure companies get into trouble because it just seems like a fun business,” he stated. 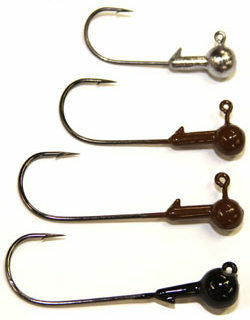 Davis said that his signature Shaky Worm Head is touched at least 11 times before it reaches the consumer. “And that’s just a simple shaky head,” he said with a chuckle. His custom spinnerbaits are touched no less than 25 times and feature between two and five different colors of paint on the head of the bait alone. 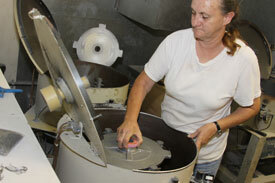 Davis can rattle off how many times each specific bait is touched before it leaves his factory, and with good reason. Chances are that at some point, the bait passed through Davis’ hands. Even though he currently has five full-time employees and in the past has had as many as 26 employees, he still takes an aggressive hands-on approach to running the business. “I do everything from take out the garbage to pay the bills,” he said. When he’s not at the factory, Davis can often be found testing and perfecting his newest creations on the crystal clear waters of Lake Howard, a small lake in Sylacauga located just seven minutes from Davis Bait Company’s headquarters. Davis estimates that he spends well over 500 hours a year developing, tweaking, and perfecting each bait that goes into production. It’s a labor of love that allows Davis to be confident that he’s offering anglers the best possible lure. “I’m proud of everything that we make here and we’ve never had what you would call ‘a bad dog out of the bunch,”’ he stated. For example, before it’s packaged, each handcrafted Fishco crankbait that goes through Davis Bait Company’s doors is tied on the end of a line and tested to ensure that it’s running correctly. “I think the fact that a fisherman can grab one of our products off the shelf, take it out of the package, and catch a fish on it without really having to tweak it or change it, has really helped with our business,” said Davis. One of the benefits of owning a tackle company that produces baits that have accounted for over 1.5 million dollars in tournament earnings is the ability to rub shoulders with some of the best and brightest anglers in the professional ranks. In addition to an Ambassador Staff at the local and regional level, Davis has created a Pro Staff consisting of three Bassmaster Elite Series pros including Mark Menendez, Bill Lowens, Greg Vinson, and Aaron Martens, who Davis worked with on developing a new Scrounger. Working along side Elite Series pros is a dream come true for Davis, who still fishes around 20 local bass tournaments a year. “When I first started out, I never fathomed that this would happen,” he admitted. “It’s hard to describe the feeling when guys who have won millions of dollars want to help a small bait company like mine. They’re truly dedicated to helping us create products that fit the needs of the anglers. Looking ahead, Davis is cautiously optimistic about the future of the bait company that started out in his garage over three decades ago. While the recent economic downturn has slowed production, he is confident that Davis Baits will remain a staple in the industry. He continues to develop new products and has recently added the new XSwim Swim Bait Hooks, the Frog Locker Hooks, SHAKY Fish, XSwim Under Spin and new custom hand poured soft plastics XSwim Minnow, Shaky Minnow and the Little Wills Swim Minnow. Counting on quality and reliability for longevity in the industry is nothing new to Davis. Even though Davis Bait Company has recently worked on at least four new product designs with Pro Staffer Aaron Martens and offers custom crankbaits, topwaters, spinnerbaits, and jigs - Davis’ original Shaky Worm Head still remains a best seller after 26 years. 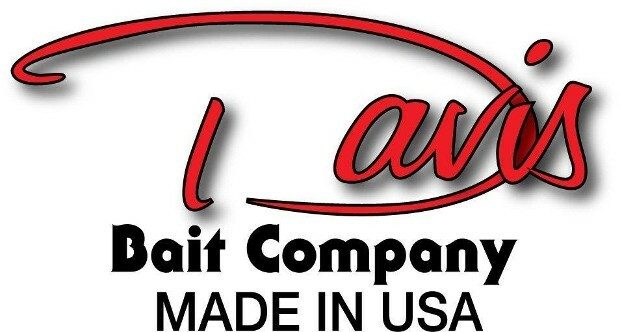 Check out Davis Bait Company at www.davisbait.com. 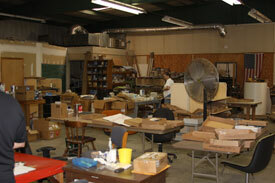 To contact Davis Bait Company, e-mail william@davisbait.com or call (256)249-2281.